The Prairie Band Potawatomi Nation is committed to assisting the community with the management and prevention of diabetes. American Indians and Alaska Natives are clearly at greater risk. Educate yourself on how to prevent type 2 diabetes if you don’t have it now, or how to effectively treat it if you’ve been diagnosed. 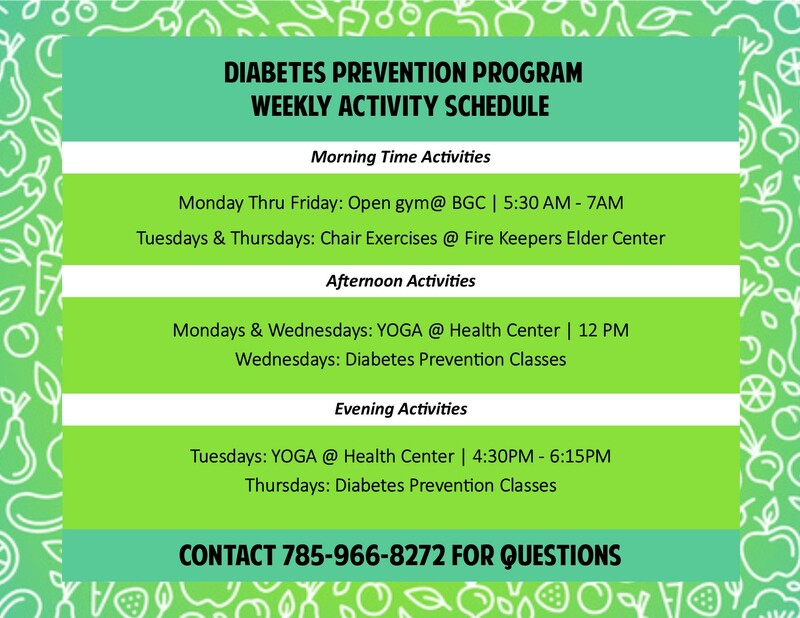 The Diabetes Prevention Program is located in the Prairie Band Health & Wellness Center. 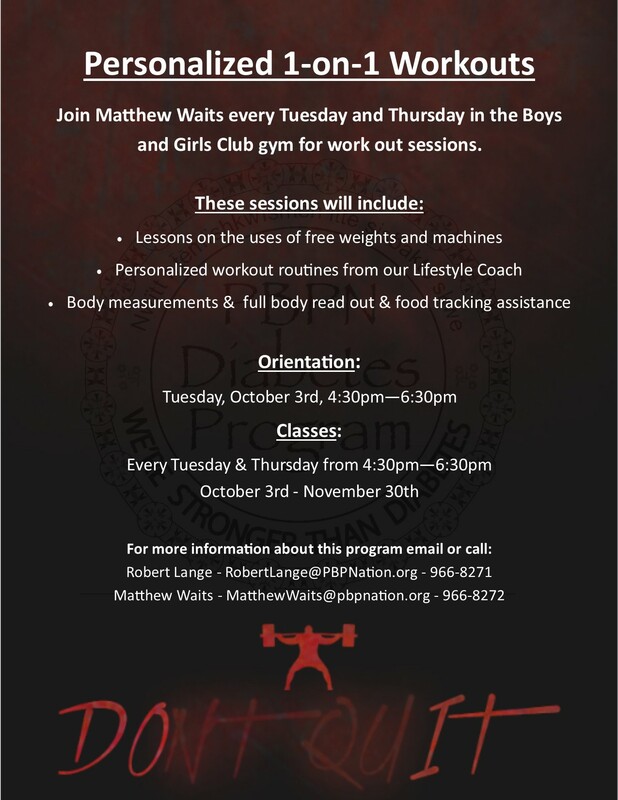 1on1 flyer: Click for printable PDF. 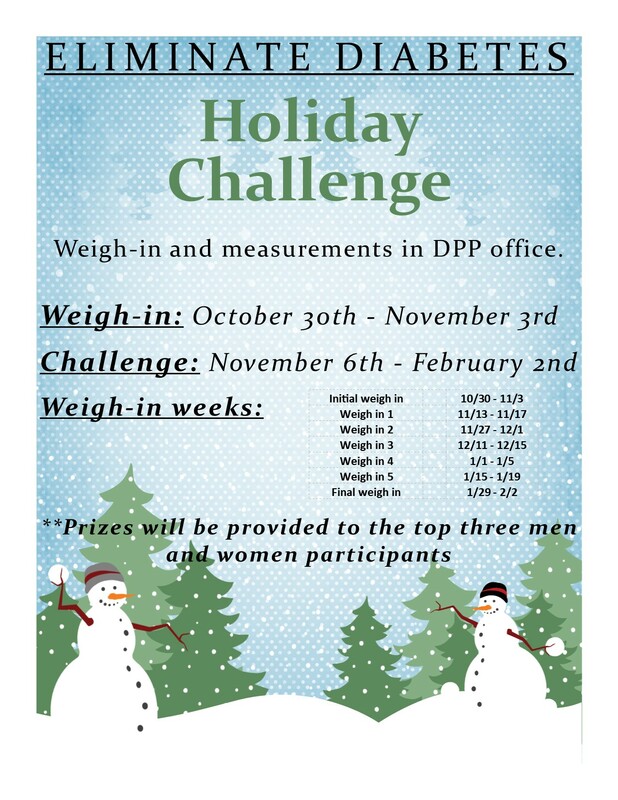 DPP_weekly_schedule: Click for printable PDF.